The Horner family extend a very warm welcome to their delightful 17th Century National Trust farmhouse. 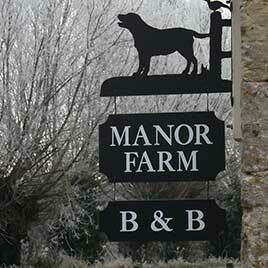 Being a stones-throw from many renowned Cotswolds features, Manor Farm B&B is a homely base for your stay in the area. Our home is very relaxed, we welcome children of all ages and whether you are staying for work or leisure, we will ensure you have everything you need to enjoy your time with us. With 3 ensuite bedrooms (two doubles & one family room) and delicious, locally sourced breakfasts, it is the perfect home from home. 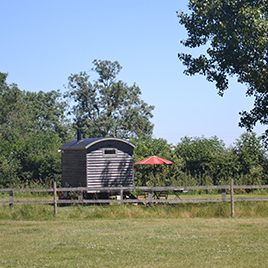 Cosy shepherd's hut, a short stroll from the farmhouse in a pretty meadow. Featuring a full ensuite shower room & wood-fired hot tub - this is proper luxury glamping! Explore miles of open countryside, grand historic houses and stunning parkland vistas; enjoy top sporting and world class cultural events, all within easy reach of Kelmscott. 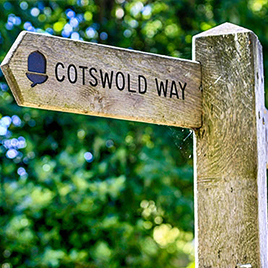 The three counties of Gloucestershire, Oxfordshire and Wiltshire make up the Cotswolds, one the of UK’s largest areas of Outstanding Natural Beauty. There is something new and different to see, explore and experience every day of the year. Open every day (apart from Christmas Day) from 10am, there is always something new & exciting to see at the Cotswold Wildlife Park, whatever your age! Lovely gardens, large animal enclosures, lots going on. A lovely day out, just 15 minutes from us. The National Arboretum at Westonbirt is a heavenly place to visit. You can lose yourself for hours in amongst the 15,000 trees. The STIHL Treetop Walkway takes you right up into the canopy. Accessible for all and a stunning experience.